Dragon's Dogma Online（TM）（C）CAPCOM CO., LTD. 2015 ALL RIGHTS RESERVED. （c）2009?2015 Wargaming.net 2013 Wargaming.net LLP. All rights reserved. (c)Gamepot Inc. "Wizardry(R)" is a registerd trademark of IPM Inc.All Rights Reserved. (c)2009 IPM Inc.All Rights Reserved. 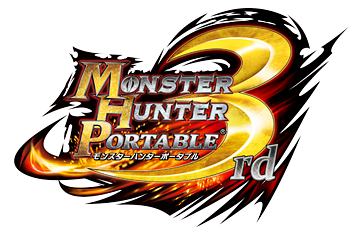 ©CAPCOM CO., LTD.2010 ALL RIGHTS RESERVED. THE LORD OF THE RINGS ONLINE^(TM) interactive video game (c) 2010 Turbine, Inc. and patents pending. All rights reserved. Middle-earth Poster Map (c) 2007 The Saul Zaentz Company, d/b/a Middle-earth Enterprises f/k/a Tolkien Enterprises (SZC), under license to Turbine, Inc. All rights reserved. "The Lord of the Rings Online", "Siege of Mirkwood", "Mines of Moria", "Shadows of Angmar", Middle-earth Enterprises logo, "The Lord of the Rings" and the names of the characters, events, items and places therein are trademarks or registered trademarks of SZC under license to Turbine, Inc. Turbine and the Turbine logo are trademarks or registered trademarks of Turbine, Inc. in the U.S. and/or other jurisdictions. The ESRB rating icons are registered trademarks of the Entertainment Software Association All other trademarks are the property of their respective owners. Stormreach Dungeons & Dragons Online® : Eberron Unlimited^(TM) interactive video game © 2010 Turbine, Inc.
© 2010 Wizards of the Coast LLC © 2010 Atari, Inc. All rights reserved. Dungeons & Dragons Online, Eberron Unlimited, Dungeons & Dragons, D & D and Wizards of the Coast and related logos are trademarks or registered trademarks of Wizards of the Coast LLC in the U.S. and/or other jurisdictions, and are used with permission. Hasbro and its logo are trademarks or registered trademarks of Hasbro, Inc. in the U.S. and/or other jurisdictions, and are used with permission. Atari and the Atari logo are trademarks owned by Atari Interactive, Inc. Turbine and the Turbine logo are trademarks or registered trademarks of Turbine, Inc. in the U.S. and/or other jurisdictions. BlogPet Copyright © 2004-2010 KDDI CORPORATION. & LINKTHINK INC. All Rights Reserved. meromero park Copyright © 2010 MicroAd, Inc. © yoshiyasu/icca. All Rights Reserved. ©2000-2010 Beastex Inc.　All rights reserved. Copyright © GCREST, Inc. All Rights Reserved. Copyright © Core Colors,Inc.All Rights Reserved.